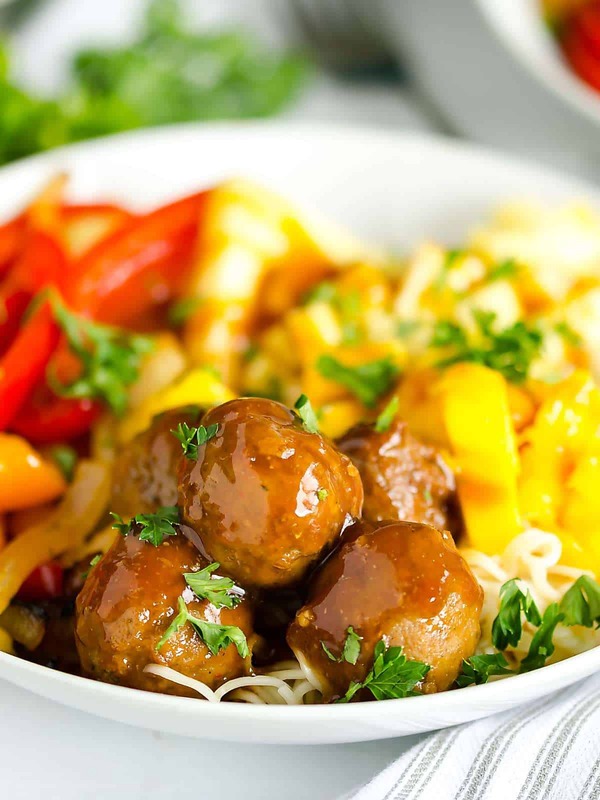 Tender juicy turkey meatballs bathed in simmering teriyaki sauce served with sautéed veggies, mango, and pineapple on a bed of Chinese noodles. 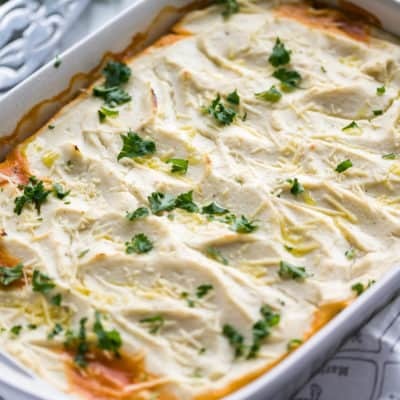 This easy turkey meatball recipe comes together quickly for those busy back to school nights. My kids LOVE meatballs. We had a lot of meat and potato type dinners when I was growing up, but I don’t recall having meatballs very often if at all. It was more of an appetizer at parties and for some reason I didn’t gravitate towards them. Do you eat the same as you did when you were a kid? I’m thinking back to my childhood, and I definitely have some different habits than when I was growing up. I remember my mom’s roast being my most very favorite dish. I also remember some of the quick stuff she threw together. Like hamburger and corn. Is this really a meal? She would just brown ground beef and add frozen corn. I think we ate a lot of red meat and chicken. Isn’t it funny which habits you carry on and which ones you ditch? I’d love to hear yours. But now, we are all in love with meatballs! 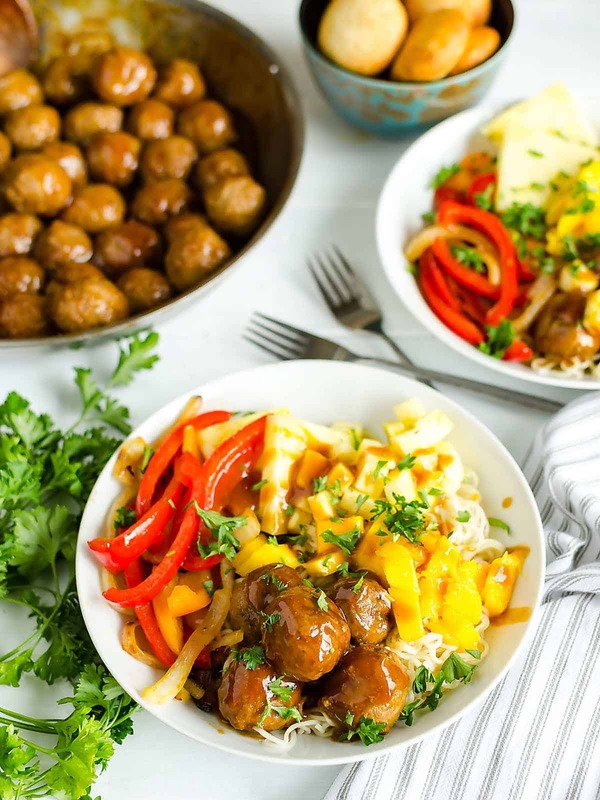 And this Hawaiian style easy turkey meatball recipe is a life saver for busy weeknights. I picked up these Farm Rich Turkey Meatballs at my local Walmart store in the freezer section. I also grabbed some Mozzarella Bites. 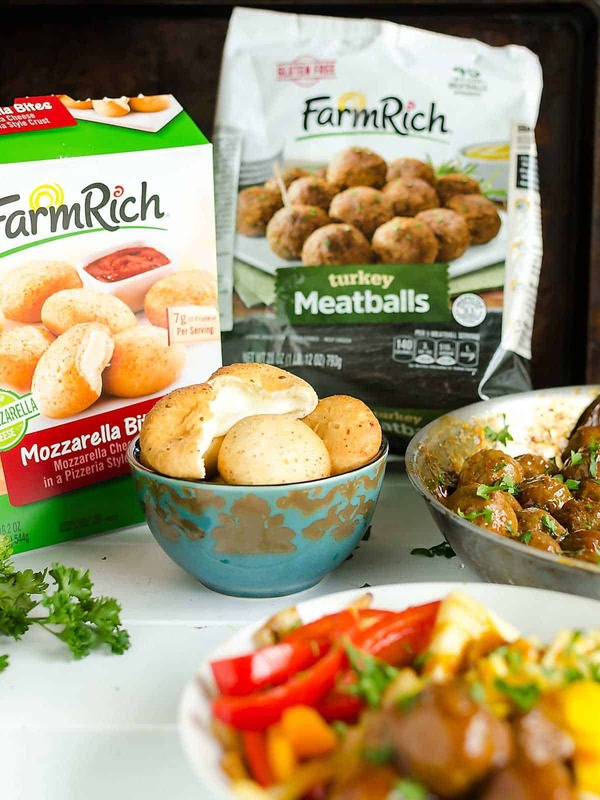 I love Farm Rich because they’re made with wholesome ingredients and they just make dinner time or snack time so much easier. 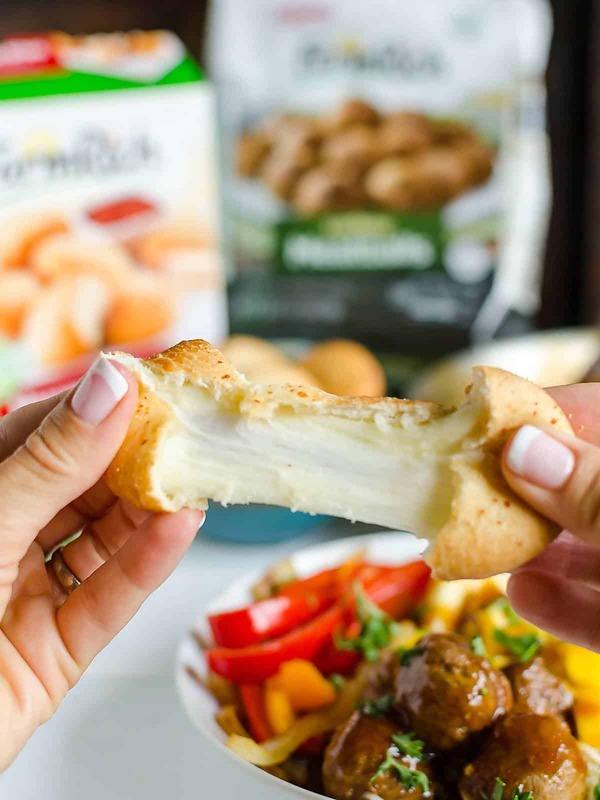 The mozzarella bites are made with 100% real cheese and serve as a good source of calcium and protein. I like to serve them with dinner or as an after school snack to tie them over. My kids seem to be absolutely starving after school. They are eating me out of house and home and they’re not even teenagers yet! 😀 Seriously, they act like I don’t feed them! The inspiration for this easy turkey meatball recipe came from our love of bowls and meatballs. I wonder which habits my kids will take with them when they leave the nest? 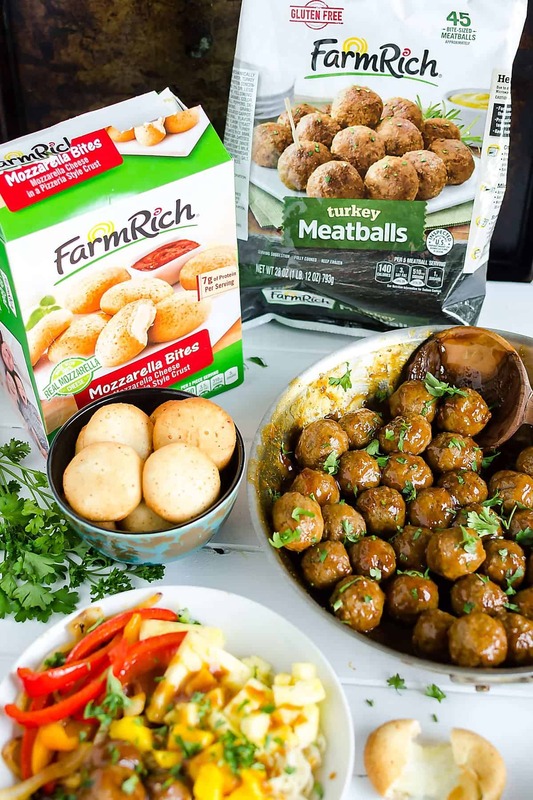 Farm Rich meatballs are super versatile, and make the perfect dinner time solution whether you have 30 minutes or all day to get food on the table. You can bake ’em, slow cook ’em, microwave ’em and stovetop cook ’em. Eat ’em plain or incorporate them into a meal. Talk about options! 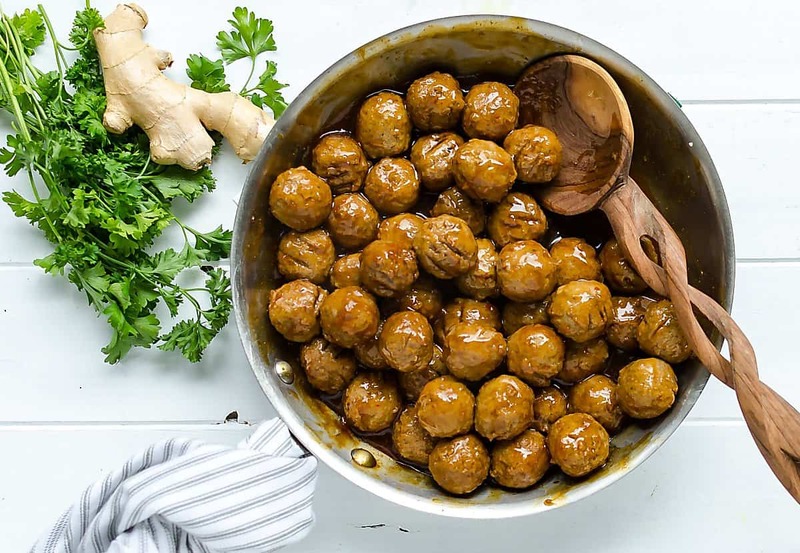 For this recipe I whipped up a quick teriyaki sauce which literally took me five minutes, and let the meatballs simmer in it until they were warmed through. Then I cooked up some chinese noodles and sautéed some veggies and dinner was done. 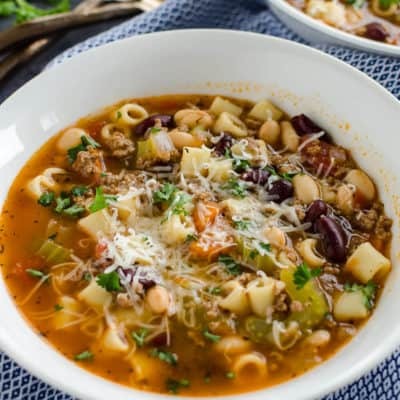 All the details are in the recipe card below, but now you can change up your veggies or anything to make this work for you. I would love to see what’s on your table, so let me know if you make it your own! With the back to school season quickly approaching, I’m stocking up my freezer with easy and convenient meals. Farm Rich products are a go-to, easy and convenient solution. From football tailgates to fall parties and after-school snacking, there’s a variety of products for any occasion. I can’t wait to try the new Avocado Slices and Pimento Cheese Bites! 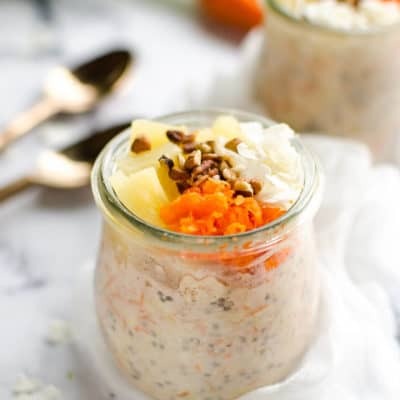 For more back-to-school snack and meal inspiration, click here! 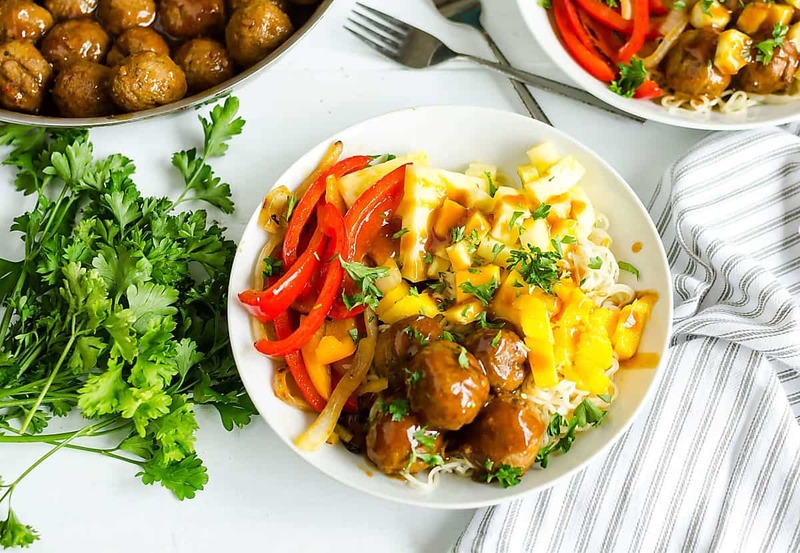 Tender juicy turkey meatballs bathed in simmering teriyaki sauce served with sautéed veggies, mango, and pineapple on a bed of Chinese noodles. Whisk together soy sauce, pineapple juice, honey, ginger, garlic and minced onions. 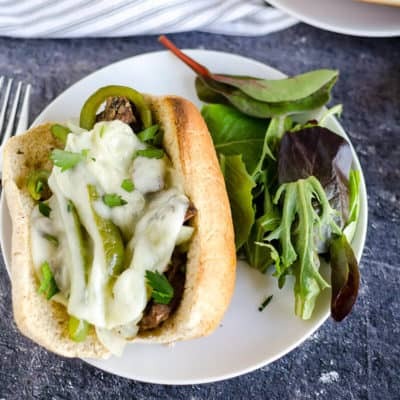 While the meatballs are cooking, heat olive oil in a skillet, toss with peppers and onions and sauté for 5-10 minutes. Cook Chinese noodles according to package instructions, drain. 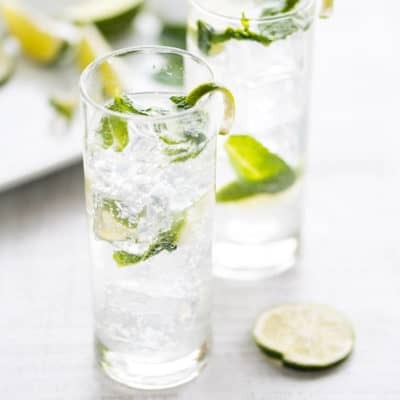 Mix cornstarch and 2 tbsp cold water until blended. pour into the meatballs and stir to thicken the sauce. Build your bowls. 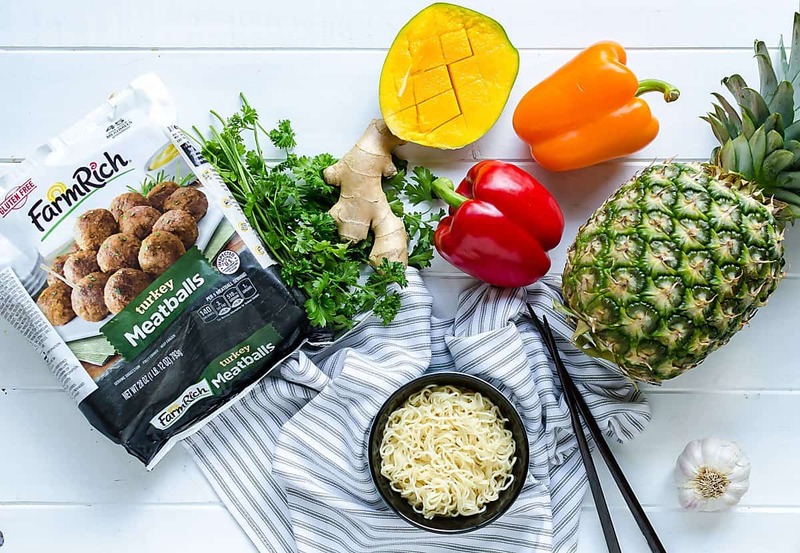 Layer Chinese noodles, meatballs, sautéed peppers and onions, pineapple, and mango.